As a husband & wife team, we're changing the relationship between homeowner & builder. We truly enjoy working with clients who have ideas of their own & are intimately involved in the entire process. Your home is your most important investment. It's the place where family and friends gather to enjoy life and be together. That's why you want to work with a company that cares about your dreams. We are your one stop shop for all your home improvement projects. We have found the most reliable subcontractors and have been working with them for many years. From a period correct updated bath in a Historic East Side Mansion, to a simple backsplash in your current kitchen, we bring experience and creativity to every project. 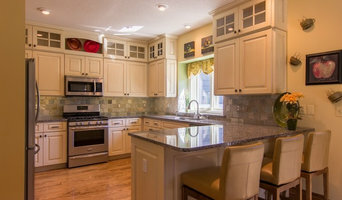 At Allen Kitchen and Bath, we do remodeling your way! We believe that making your home more beautiful is a result of great design, cost effective planning, and most importantly, listening to you. When Urban Herriges & Sons, Inc. builds your addition, you will be assured of quality. Four generations of expertise provide quality workmanship from start to finish. At Detail Woodworks, we provide custom kitchen & bath cabinets, millwork, entertainment areas, libraries & more all handcrafted in our shop. We pride ourselves in paying attention to the details. 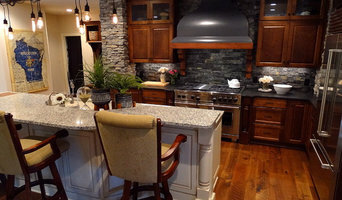 From start to finish, Kurber Construction, a family owned and operated business, produces top quality craftsmanship for all projects whether it is a kitchen and bath renovation or custom homes. Callen is a family-owned, award-winning home remodeling company. Since 1986, we have been improving the homes of our friends and neighbors throughout southeastern Wisconsin. Are you looking for a high quality, custom kitchen cabinet update without the mess, inconvenience and expense of a full kitchen tear-out? Your existing cabinet framework could serve as the foundation for the cabinet update you have been dreaming of. We will partner with you to find the update solution that will satisfy your taste and budget and provide an efficient installation that gets you back into your kitchen as soon as possible. Contact us today to get started! W.E. Davies + Sons Remodeling is NARI certified and has proudly been serving the Madison area since 1975. As professional remodelers, we handle every aspect of a job from interior and exterior renovations to additions, kitchens, baths, handyman services and new construction. There isn’t a project too large or too complicated for us to handle. For over 30 years, the #1 reason clients hire us is “trust.” Our clients know we keep our promises of quality and professionalism. They know they are choosing certified professionals with years of experience, dedication and a commitment to ethical conduct. Kloud 9 Kitchens (formally BM TileWorks) is your Christian based one stop for all of your Kitchen & Recroom Remodeling needs. We love to help create that new look in your home. Specializing in residential homes with designs that reflect our clients' personality & lifestyle. Brian Mikec, Founder & President of Kloud 9 Kitchens is a locally well-known Professional Contractor with 11+ years in the business. Brian’s high-quality craftsmanship has been distributed throughout all of Southeastern Wisconsin. Brian is also our lead Installer and brings an impressive sense of taste to suit every customer's style using an assortment of products as well as professional construction means and methods needed for the project. His experience ranges from modest homes to commercial big-scale overhaul projects. Here at Kloud 9 Kitchens, Brian will make sure that the job is completed from beginning to end and that our customers are happy with the quality and craftsmanship throughout. We are committed to excellence and customer satisfaction. From the ordinary to the spectacular, we install Cabinets, Countertops, Tile, Laminate, Engineered Vinyl Plank, Engineered Hardwood and more in areas like Kitchens, Rec-rooms and Fireplaces and a few other applications to meet your project needs. As of May 2018, we will no longer provide services in Bathrooms that need Tub Surrounds or a Walk-in Shower. We will still provide Cabinets, Countertops and Flooring for bathrooms, but have chosen to move away from Showers while we Focus on Kitchens as our specialty. We provide FREE In-Home estimates to get the ideas rolling and the hardest process over with. Kitchens and bathrooms are two of the hardest-working spaces in any home. When it’s time to update them, ensure that they stay at peak functionality by hiring a Chenequa kitchen and bathroom remodeler. With an eye for aesthetics, a practical approach to layout and design, and the skills of a contractor, a bath or kitchen remodeler in Chenequa, WI can help you execute a remodel suited your personal style and needs. What does a Chenequa kitchen and bath remodeling expert do? Licensed Wisconsin kitchen and bath remodelers are contractors who specialize in altering the structure of an existing space, rather than building one from the ground up. Because he or she must deal with a previous builder’s work, the job can get more complicated than new construction. You might wonder why they often specialize in both kitchens and bathrooms, but if you think about those two spaces, they actually have a lot in common. Kitchens and bathrooms include an abundance of fixtures that require careful planning and installation, including sinks, faucets, tubs and toilets that all need water hookups and drainage. They also use similar materials, such as tile and stone for countertops and flooring, due to the nature of their use. So it makes sense that Chenequa kitchen remodelers and bathroom remodelers be one in the same. A bathroom or kitchen remodeler translates architectural plans from page to reality; some are also trained to provide design services so that you don’t have to hire a separate pro. Like a general contractor, a kitchen and bathroom remodeler in Chenequa, WI is responsible for hiring and supervising subcontractors and providing materials when necessary. They also should have a thorough knowledge of Wisconsin building codes and construction-related legal issues, as well as current design and product trends. Here are some related professionals and vendors to complement the work of kitchen & bath remodelers: Woodworkers & Carpenters, Kitchen & Bath Designers, Interior Designers & Decorators, Architects & Building Designers, General Contractors. Find a Chenequa kitchen and bathroom renovator on Houzz. Narrow your search in the Professionals section of the website to kitchen and bathroom remodelers in Chenequa, WI. You may also look through photos of Chenequa, WI spaces to find kitchens or bathrooms you like, then contact the bathroom or kitchen remodeler who worked on it.